“STAY FIT, LOOK FIT” is the slogan of today’s life. Everyone wants to be fit from in and out. And which is important as well for today’s generation. Everyone has so busy life and the work pattern for today’s generation also not that good for health. So where to find the work out time? An answer to this question is, “At home”… Yes, you heard it right. At home you can go for a long walk, you can do jogging this all is possible due to “Treadmills” – a life blessing for many people who are not able to invest their time to go out for exercise. 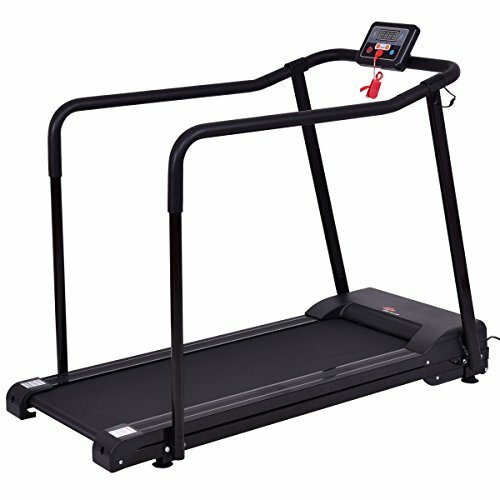 If you are planning to buy a treadmill then you will get tons of best treadmill for home use & gym. Now it becomes tough to choose out of so many options. Here we have gathered some of the best treadmills of 2019 for you. Let’s have a look in detail on each model. The above model is most traditional and popular in the market. Almost all aged person can easily use this treadmill once you got familiar with the functions. You can adjust the speed manually with the buttons available on the display screen. Below are the key points because of which it has become popular among customers. This is the trendiest model. It comes with a LED display which gives information related to the exercise. Firm grip at the bottom for steadiness. Arm rest is slight longer to rest your hand while exercising. It is vertically foldable hence storage becomes easy. Foldable feature makes this design super space saver. The weight capacity is 325 pounds. iPod compatible audio so you can enjoy your music while working out. Cushioning is there at the parts of the body wherever required to avoid the shudders if any. 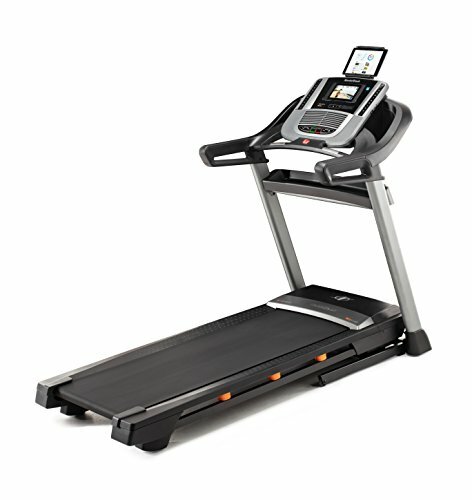 This is one of the best home treadmills for running by LifeSpan Company. This company believed to be popular in the market for treadmills. The unique design and the comfortable usage make it popular in the customers. 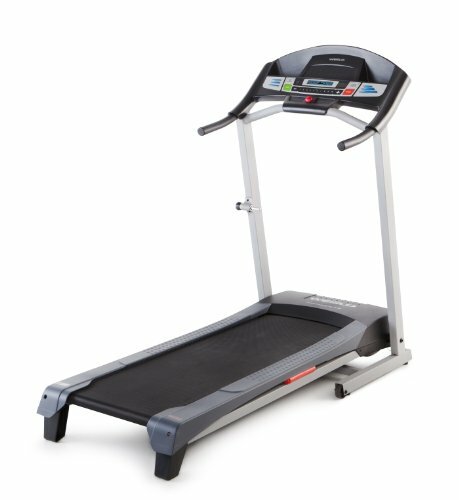 This is moderate weight easy to use and most handy treadmill. 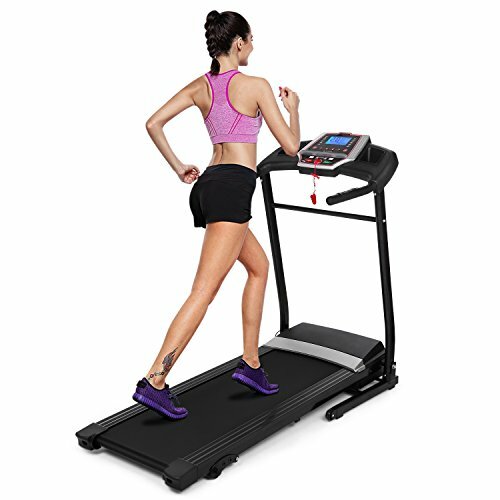 Below we can see some of the best features of this treadmill which makes it better from others in term of deck treadmill. It is a Foldable and portable which makes it handy to use and storage as well. Heavy duty and high capacity 2.5 HP motor which makes it more durable in terms of a motor. Console tracks time, calories, distance, speed and more. It has inbuilt 21 trainer programs that target weight loss, healthy living, sports training. Heart rate program with Bluetooth connectivity. Lifetime warranty on frame and motor. Body material is durable and comes with a warranty. 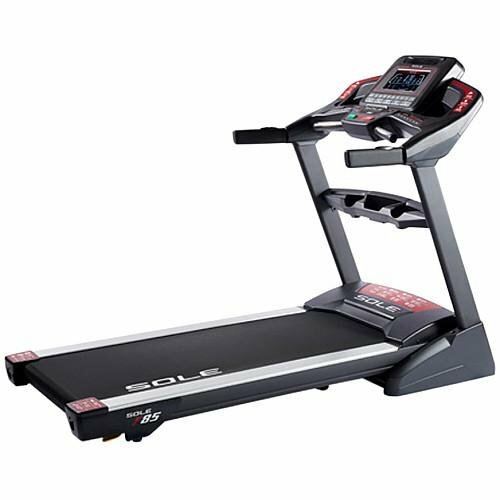 With some of its unique features, this Yiilove Company Trademill has also become the member of the list of best treadmill for weight loss. This treadmill comes in some attractive color so you also feel fresh while exercising than the usual whole black treadmills. Let’s see the unique features of this treadmill below. Foldable Design and transportation wheels are available which makes it easy to handle. Foldability property makes it a Space saver, so perfect of use in home, dormitory, office. The body made of durable material and support max weight up to 100kg. Multifunctional Display which displays many factors which are necessary while working out. You can track the progress in speed, distance, heart rate, calorie burned. Low noise motor and auto stop safety function which makes it user-friendly. It comes with a unique design and completely unusual from another treadmill in term of structure. This structure may have created keeping the seniors in mind. As many times we see that senior people feel little scared on the treadmill because they don’t find any support while using it. So in this model, they have something special for seniors. Let’s see below some more features of this treadmill. Designed with two extra-long arms to avoid any unexpected accident while elders are using it. The arms are covered with foam to provide cushioning in case of any sudden movement. A machine has a weight capacity of 220Lbs. Easy to read LED screen. The LED screen indicates time, speed, calorie, distance and mode. Have seen such kind of design, which is almost like an extendable surface. This model has a very different look and you can actually keep it underneath your bed. Yes, it’s that handy and compact. As you can see in the image it comes in an eye catchy color which may be popular among girls. Let’s see some more features below. This slim treadmill won the 2018 Red Dot Design Award. 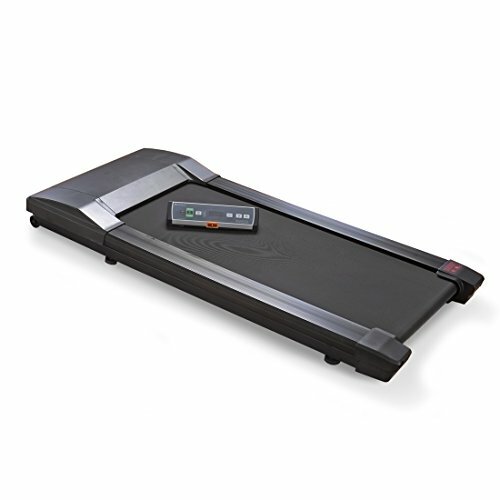 It is a slim tread folding treadmill. Works on intelligent speed control technology. Easy storage and transport feature which makes it user-friendly. The running speed is controlled by human motion trajectory. It has transport wheels which makes it easy to move anywhere. Powerful magnet at the back of the foot guard for storage purpose. As you can see in the image this model is sturdy, durable and rocking in look. This machine has many advanced features. The young guys will definitely like the look of this treadmill because they have made it look very sporty. It comes with many luxurious features. Let’s explore the features below. It has a cushion flex whisper deck which reduces the impacts on your joints by up to 40%. 4.0 CHP, DC Type motor with 0.5- 12 MPH speed range. Rack and pinion gear design. Two-ply belt, pulse grip and chest strap heart rate monitoring. Six standard programs. Two custom programs and two heart programs which help you in your exercise. Cooling fans to avoid any unnecessary heating. MP3 compatible sound system to enjoy your music while exercising. Nine-inch LCD workout display which is much bigger than other models. 265-pound weight and 400-pound weight limit. Storage space underneath the digital display arm. This is one of the unique designs which may be suitable for busiest people who would like to work while working out or you can watch your favorite movie on a laptop during exercise. So here comes a model which is designed in such a way that you can use it as an under desk treadmill. Isn’t it different? Yes, so now you can work along with your exercise. Let’s see some more features below. The DT3 portable console and compact TR800 treadmill base guarantee. Fully assembled piece when you take it out of the box so no need to face any hassles of assembling. Includes console readouts for steps, time, distance, calories and speed which are helpful while exercising. Now, this is one of the new generation treadmill models. It has downloadable sports app for running and walking. This machine is perfect for jogging, walking, running, and cardio workout at home. Very handy and will mostly be like by the people who like to keep engaged themselves with laptops, iPad, Tablets etc. Let’s see below some more features. Convenient hassle-free folding style which makes it user-friendly. Digital LCD screens which running and training data statistics readouts. Selectable preset training mode-this is an advanced feature. Safety features such as integrated safety key emergency shut-off button to cut power instantly. Now, this is a bit old mechanism as it is a manual treadmill. But there are many people who may be interested in a manual treadmill as well. The major benefit of a manual treadmill is only that, it is cost effective. You do not need to spend many bucks on these kinds of treadmills. It has its own benefits of using. Let’s see some features of this model. LCD Display Screen- As many treadmills, it also has LCD display screen. Multifunction combination- The main benefit of this model is you can do running, sit-ups, waist exercise which makes it multifunctional. Roller Design- It’s not much difficult to use. The faster you run the belt moves faster. Slope adjustment design- Adjust gear according to your own sports. Foldable and easy to store which makes it user-friendly. This is one more option which may be likable by the young generation. It has Tablet holder as well so you can access your entertainment through your tablet while working out. It is a Modern style model with great features. Let’s see below some of the features of this model. Stay in control while working out with a 7-inch web-enabled touchscreen. Built with a bigger motor case for less vibration. Dual cooling fans for less heating. 0-12% inclines with the touch of a button. Get professional training with 32 preloaded workout designs by certified trainers. 20 x 60-inch tread belt to reduce noise and friction. Foldable and easy to use.